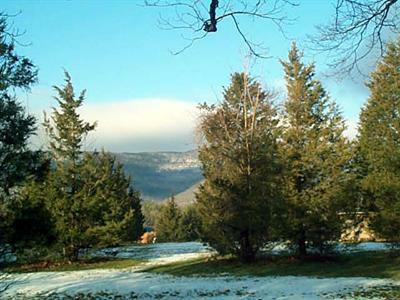 Brookside Campground provides the best Catskill Mountains camping in Catskill, New York! Summer season Opens: April 15th - October 15th We do offer Winter Season RV and Cabin Rentals by reservation only. The Brookside Campground, This Family Campground and RV Park, is nestled at the edge of the Catskill Mountains of New York State, just outside of Catskill Park. A serene natural surrounding awaits you with mountain views to the west and babbling trout brooks to the east. Whether you arrive in an RV, renting one of our cabins or plan to set up a tent, The Brookside Campgrounds has room for intimate camping groups as well as larger family gatherings! The Catskill Mountains campground is family owned and operated facility offering the perfect place for your next Greene County camping trip. Like us on Facebook and send us your camping photo. 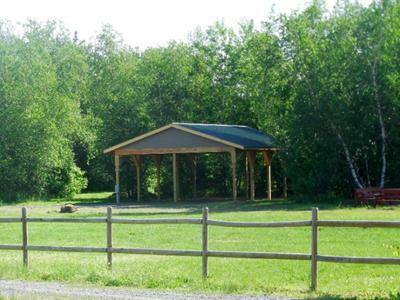 The Brookside Camping and RV park offers a wide variety of activities. Whether you enjoy the outdoors or prefer relaxing around camp, The Brookside Campground has something for everyone in your family or group. The campground is set on a lovely stream, Kiskatom Brook, where guests can enjoy fishing for trout. There is also a sparkling pool all guests can enjoy. There is plenty of room at this campground for outdoor games like volleyball, soccer, or taking the kids on a fire truck ride! Each campsite is complete with a picnic table and fire ring, as well, so you can enjoy a great outdoor meal. Wander over to the game room for video games and billiards, or just do nothing. Your time is your own at The Brookside Campground, and you'll get the rest and relaxation you need as well as the quality family time you really want out of your vacation. "So Go Ahead, Take Back Your Life and Go Camping." 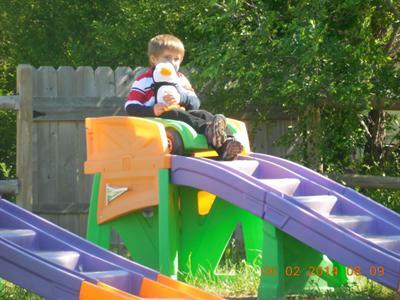 Kids will find a pirate ship playground and lots of fun equipment to entertain them for hours; there is also a large selection of outdoor play items in our Tiny Tott's Playground to help imaginations run wild. 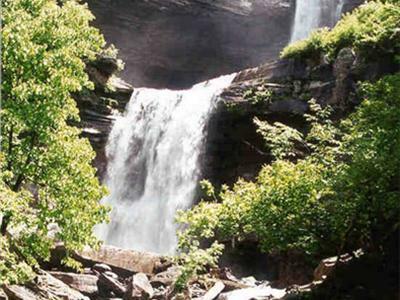 There are numerous ways to fully enjoy your Greene County camping experience. Holidays are very special at The Brookside Campground; the atmosphere of the Catskill Mountains campground changes with many more activities, music, and fun! The quiet hours and swimming pool hours are extended. Holiday weekends include special events during the day, activities for kids, such as Candy Bar Bingo, Balloon Stomp, swimming pool games, relay races, arts & crafts, and much more! These fun activities are what make Greene County camping so much fun! If you get the urge to get out and explore, you will not be disappointed with the surrounding area. There are outstanding attractions nearby, including a fantastic Zoom Flume Water Park, fun shopping and dining, and plenty of outdoor recreation. There are several local golf courses nearby where you can practice your swing. Brookside Campground is just a few miles from the Catskill Park, which offers hiking trails, fishing in mountain streams, mountain biking trails, wildlife viewing opportunities, and more! At Brookside Campground, the quality time is real; everyday there is a chance for you and your family to get to know each other better, unwind, and smell the roses! Take advantage of this great opportunity, come visit this Catskill RV park and "Make it a great day."